The one to one eyelash extension has become a fever! Expert clarifies questions about this loving technique. Conquering a powerful look with long, bulky, and curved eyelashes is a desire of any woman. 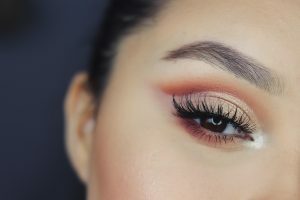 In fact, it is possible to achieve this look with many layers of mascara or opt for an eyelash extension procedure, which ensures eyes are highlighted. This is for sure more practical and will last longer. The one to one eyelash extension is one of the trends these days. That is why we searched for specialists, to clarify the most common myths and truths about this technique. The technique of placing longer lashes just at the end of the eyes creates a natural cat-eye effect. Longer lashes are placed on the center of the eyes making them look bigger and open. Both, the material used and the way the application is made do not interfere with the health of the natural lashes. What happens is that in some cases (this may or may not happen, according to each client) the weight of the applied eyelashes accelerates the natural process of falling the natural eyelashes. However, it is normal for natural eyelashes to grow normally and fake ones to fall out with the time. Since the process is totally external there are no direct risks on the health of the eyes, anyway, post-procedure care is essential. The alert is valid for people with ophthalmological disorders, mainly due to corneal and conjunctival lesions or for those who have a history of allergies to some of the material used in the procedure. You can use eyelash mascara. The only indications are to avoid the waterproofing product as its removal may be more difficult and can damage the extensions. The tip here is to apply on the tips of the eyelashes rather than the full extension. So yes! You can use it, but I do not think it’s necessary, because the extensions already highlights the look like the eyelash mascara. But if you want to use, I indicate water-based mascaras. The ideal is to let the fake lashes fall through the process of natural eyelash growth. Pulling them can cause the natural lashes to fall out too. If something is bothering you, seek a professional to take out what you need. 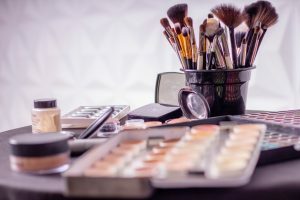 The makeup removers have many ingredients that can remove the glue, especially the oily ones. In addition, rubbing the cotton in the eyes can also remove the fake eyelashes. If you still want to use makeup, the Micellar water is the best choice when you need to remove it. When the a person does one to one eyelash extension for many months in a row, we advise a gap of at least 30 days. This way the natural eyelashes will strengthen and their volume will increase. Not only can, but you should. Keeping the lashes clean and combed ensures an even longer life. Also, this will make them look much more beautiful. Comb your lashes, using old mascara wand, or for better results we recommend you to choose brushes like this grooming Brush Tool, by Docolor. or you can also go for a cheaper solution and buy these disposable brushes.